Reduce fur around your home by de-shedding your dog. The De-Shedding Tool removes dead and loose hair so it doesn’t end up on your floor and improves the condition of your pet’s coat. It is easy to pull through short hair, long hair, medium hair, matted/tangled hair, muddy hair, dirt, food, stains and more! 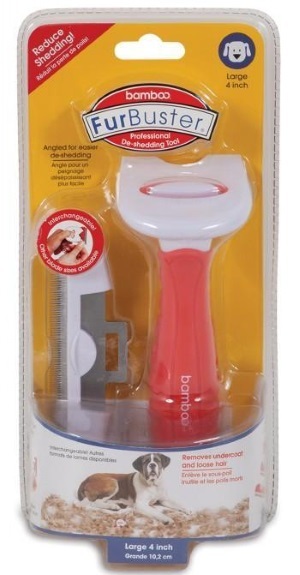 The De-Shedding Tool features an ergonomically designed handle which provides an ultra comfortable grip. The tool is easy to clean and disinfect and features a quick-release handle which allows you to replace blades. Ideal for household or professional use.